Northern services are being disrupted after trespassers forced the closure of railway lines. Passengers are being warned to expect cancellations and delays to Northern services in West Yorkshire following an incident on the railway this morning. Severe disruption was caused when trespassers forced the closure of lines between Halifax and Bradford Interchange earlier today. It meant services were suspended until British Transport Police had attended, with no trains able to depart from Bradford Interchange, New Pudsey or Bramley in either direction. 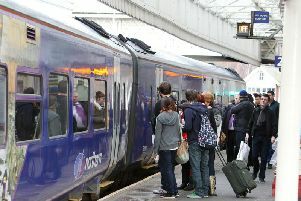 Services linking Leeds to Manchester Victoria and Huddersfield were among those affected. In its latest update, Northern said all lines had now reopened but disruption was likely to continue until around 10am. Minor disruption was also caused to some services between Leeds and York.